The City of Edmonton has been recognized as a finalist for the 2016 Customer Experience Visionary Award from Vision Critical -- a leading customer intelligence platform provider based in Vancouver, BC. The City received this accolade for our work on the Edmonton Insight Community, which is helping to redefine the citizen-government relationship for Edmontonians while also showcasing to other municipalities what can be achieved in the area of engagement. “It’s a proud moment for all of us at the City to see our work recognized on a North American scale,” says Rob Klatchuk, Branch Manager of Engagement. Nominees in this award category in this award category demonstrated a strong business impact on the way their organizations support the customer experience (for example, increased customer retention or satisfaction, et cetera). And the City was in great company beside such eminent, long-established corporations as Alliant Energy (who won) and Avianca, based in Columbia. 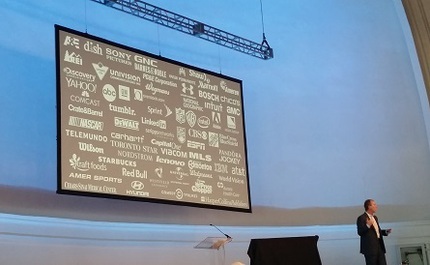 Winners in other award categories this year included ESPN, Elizabeth Arden and Wolverine Worldwide. Mark Boulter, who works with the Edmonton Insight Community in the Engagement Branch, notes the City of Edmonton is considered a leader in this space when it comes to government using technology to connect with the community. “When we attended the summit in 2015, we had many great conversations with some incredible, world-renowned companies where we gained new perspectives on how they engage with their communities and what our Insight Community does well and where we can make it even better,” he says. 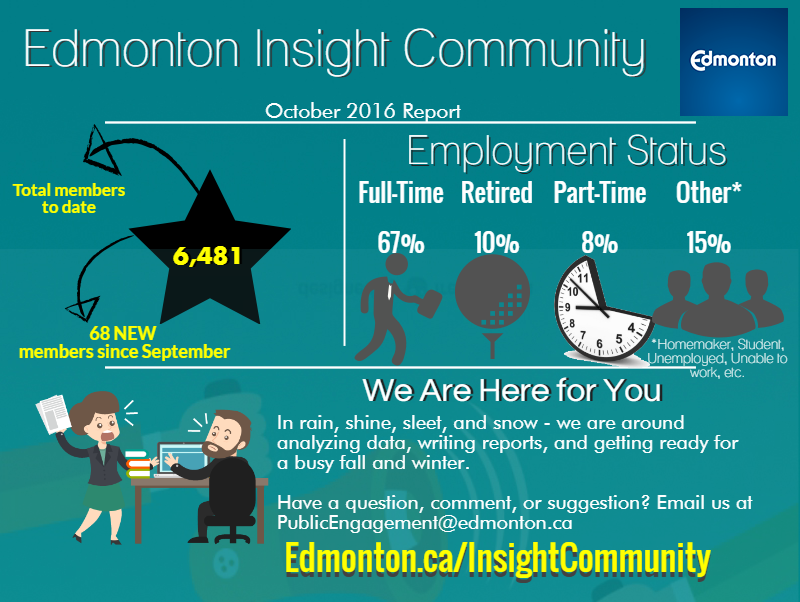 Since its launch in June 2014, the Edmonton Insight Community has surpassed its initial goal of reaching 5,000 citizens -- now boasting close to 6,500 community members. It was originally developed to provide an easy, convenient way for citizens to provide input on a range of city issues through an inclusive, accessible online citizen panel. And the data from the community is being used for supporting our Open City Initiative. I want to say a big thank you to those who provided their opinions about traffic safety advertising online, on paper, and through the Insight Community. 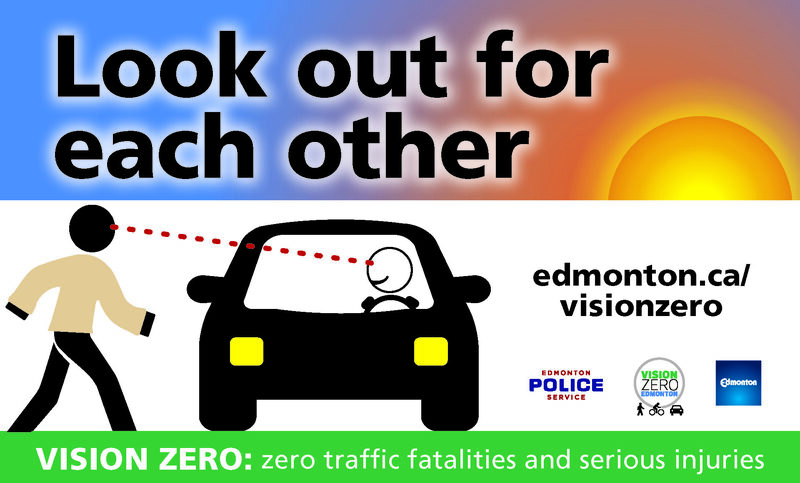 Recently, the City of Edmonton shared a preliminary design for one of our fall pedestrian safety ads. We advertise in the fall because of a significant increase in risk for fatal, serious or minor injuries to pedestrians as it gets dark earlier and visibility decreases. Feedback on our draft ad was mixed. Of the 2,070 people who provided feedback, some said they liked what we were proposing, some said they liked the idea of advertising but not the ads themselves, and some said that we should not spend money advertising. Reminding people about road safety is an important part of our work. We use automated enforcement fine revenue to support all 5 E’s of the Vision Zero Road Safety Strategy: engineering, education, evaluation, engagement and enforcement. Our roadside signs, bus advertising, and other materials are all part of our ongoing education work. We think it keeps the message that safety is a shared responsibility and being visible (as identified in our research) is important. We also think that your engagement in a safety conversation helped make the materials better. Through Vision Zero Edmonton we support a shared responsibility between all road users to help combine and produce an integrated safety effect. It will take time to re-design, build and operate safer roads to optimize all the elements of a Safe System. Many of those high priority projects are underway, like increased pedestrian crossing protection, school zone safety enhancements, prohibited and protected left turns and redesigning right turn cut offs to name a few. A recent report that went to Community and Public Services Committee shows the effectiveness of elementary school zones. Collisions causing injuries to pedestrians and cyclists were reduced by 71 per cent from an average of seven in the school years before school zones were implemented to just two in 2015. The Committee voted to implement 30 km/h school zones at junior high schools in 2017. Thanks again for your input. Everyone needs to come home safely. During the summer, the Advisory Committee and five working groups of the Council Initiative on Public Engagement (CIPE) continued implementing their action plans as they head into the final stages of their work.